After his very successful first book, “The Ideal Guard”, which covered the funny and bizarre experiences of dealing with prisoners, the public, drunks, colleagues and the legal profession retired Det. 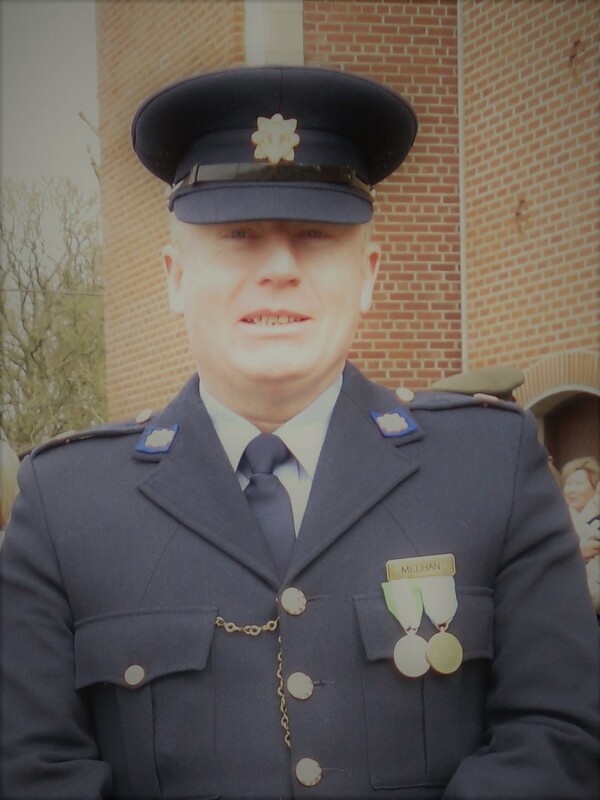 Sergeant Cyril Meehan has just written and has just published, “In Dark Blue”, true experiences of an Irish Policeman. Discipline, morale, stress, bullying as well as views of management / mismanagement. The identity of most people referred to in the book have of course been disguised, locations as well as timeline changed, to protect all mentioned. 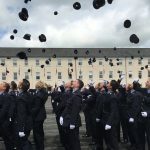 Every serving Garda or retired member will identify with many of the experiences outlined in this book, experiences which many seldom talk about in public, either out of choice, caution, or maybe a lack of being able to properly articulate them fully quite like the Author, Cyril Meehan, has done here. 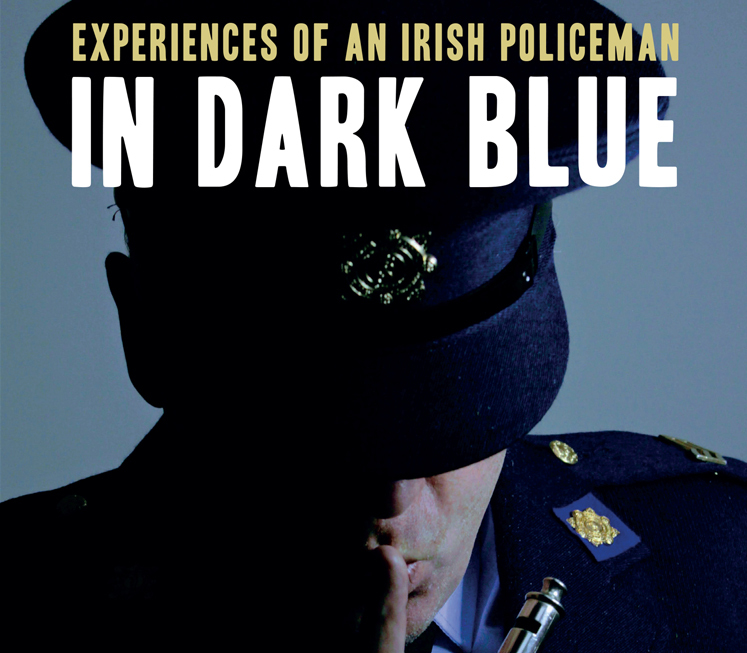 To the general public, who may have an interest in trying to understand and get a real insight into the everyday challenges experiences by members of An Garda Siochana, “In Dark Blue” is a must read. Cyril Meehan retired as a Detective Sergeant in 2013 after exactly 30 years’ service. Throughout that time he served in just about every area of policing, from uniform, to in service trainer, Chief’s personal assistance, crime, drugs and terrorism, ending up in Detective branch involved with covert policing. Cyril has acquired 21 formal commissioner commendations for good police work and in different dangerous situations, save the lives of 7 people, not to mention being the recipient of a Comhairle na Mire Gaile bravery award. 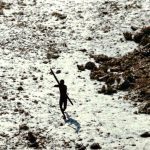 Cyril is of the opinion that a lot of people believe they have a book in them, but unfortunately for one reason or another many do not take the plunge into the unknown. He himself will confess that it was a very steep learning curve in relation to the new world of publishing, dealing with publishers, artists/ designers, book shop managers, distribution, as well as media interviews for promotion. Cyril said that it was a totally marvellous, yet very time consuming experience. That said, he firmly indicated that sales do not come about as a result of luck, or thinking you have a good book everyone is breaking the door down to purchase. It’s about hard grafting to get the word out as much as possible about your project to the potential customers. Since retirement the Author has travelled and worked all over Europe. He has painted walls and erected fencing in Germany, plastered and painted walls in France and Bavaria, paving in Italy and currently lives fulltime in Lithuania. Cyril Meehan is not having a very dull retirement and in the near future has ambitions of writing a travel book of his experiences throughout Europe, as well as further aspirations of writing a small comedy play based on his first book. His other interests include, painting art and drawing, photography, European history and touring by bicycle. In Dark Blue & and indeed his first book, The Ideal Guard are both available at all good bookshops throughout the country, or direct from www.cyrilmeehan.com priced @ 14 euro each. Both would make a great Christmas present and read.